North Carolina to live with the only family she has left: her estranged uncle and aunt. appeasing her lessthan-loving grandmother, followed by being her grandfather’s caretaker. Growing old before her time, Layla lost her identity. Now she must learn how to allow herself to be the one cared for and loved. Will Meyer. His breathtaking good looks are enough to catch her eye, but his sincerity and passion are everything she needs to find the strength and confidence she lost — and lead her into love. When tragedy once again strikes Layla’s life, her hope is all but completely crushed. Through it all, Layla learns what it means to truly love and be loved. Layla is more than confident in her ability to succeed this time. After all,she’s got a whole new bag of secrets to keep. is doing her best to adjust to life back in Florida. She continues to hold out hope, confident she was meant to find Will’s ring for a reason. Will’s disappearance than she ever could have imagined. Layla Weston was supposed to be planning her wedding, not waiting for her fiancé’s father to die. As Luke prepares to defend Holly for the shooting of Gregory Meyer, Layla and her family weigh the possibility of being able to return home to North Carolina. Only Layla isn’t quite sure that’s what she wants. identity is not determined by his DNA. Now that they are on the brink of their happily-ever-after, will Layla and Will get everything they dreamed of? Or will their happiness continue to be just out of reach? They’ve been to hell and back again, but now Will and Layla are beginning the biggest adventure of their lives: parenthood! by her from the moment they met. Reintegrating into her social life and balancing motherhood may be a bit of a challenge, but Layla isn’t going to miss her opportunity to help her dearest friends find their Happily Ever After, too. But what would life be without a curve ball once in a while? 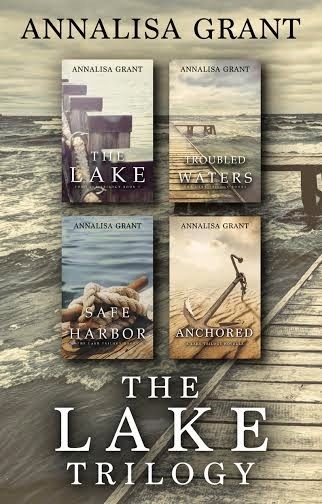 AnnaLisa Gran t is the author of the YA Fiction series The Lake Trilogy (The Lake, Troubled Waters, Safe Harbor), the Contemporary Romance/Suspense novel Next to Me, and the Coming of Age novel As I Am. AnnaLisa received her Master’s degree in counseling from Gorgon-Conwell Theology Seminary in 2008. While she spent two years post graduate in private practice as a therapist, AnnaLisa spent 13 years in the field of counseling and human services. 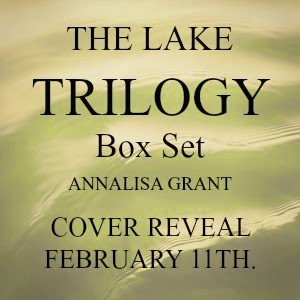 When she’s not writing, AnnaLisa is a lover of music and movies. She loves being a wife to Donavan and a mom to her son and daughter. Oh, and she’s also slightly (completely) obsessed with all things Disney! AnnaLisa lives in Matthews, North Carolina with her husband and two awesome kids.